Mel Gibson, as a Boston detective, looks for information in "Edge of Darkness." (CNN) -- Can there be redemption for Mel Gibson, four years after his drunken tirade made headlines all over the world? He's done his mea culpa, disappeared for four years -- in fact it's nearly eight years since he starred in "Signs" -- and he's playing to his strengths in this comeback vehicle, a conspiracy thriller with a vigilante kick. This is the Mel Gibson we always loved: mad as hell and back on the warpath. Let's not forget, he became a star playing a homicidal cop -- three films as Mad Max, and four more as Martin Riggs in the "Lethal Weapon" movies -- and here he goes again, playing a bereaved Boston police detective, Thomas Craven, tracking down his daughter's assassins. Who does he think he is, some sleazy lawyer wants to know? The shyster must be the only one who hasn't figured it out: "A cop with nothing to lose who doesn't give a [bleep]." You would be ticked too, if your grown daughter came home, threw up on your dinner table and died in a shotgun blast before she had a chance to explain herself. At first Craven and his colleagues assume he must have been the target, but when he finds a revolver among her possessions the grieving father begins to wonder. That, and the Geiger counter. This is your Cold War paranoia thriller, adapted and updated from a first-rate BBC miniseries by William Monahan ("The Departed") and Andrew Bovell ("Lantana"), and directed by Martin Campbell -- who also directed the original series some quarter century ago. The pedigree is impressive but the movie is a diminishment across the board. As with the recent film version of "State of Play," the compression of six hours into two has boiled the narrative down to base clichés, stripped out the complexity and simplified the character arc while retaining an earnest, self-important tone that's no longer called for. On the plus side, the film has impetus and several expertly rigged action scenes. 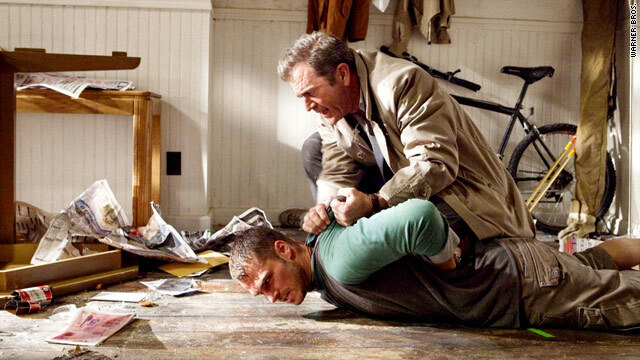 Campbell put Daniel Craig through his paces in "Casino Royale"; he knows how to stitch together a car chase or a fight scene. He's also one of a dying breed, an action director who gives the violence weight as well as spectacle (I'm afraid the Bay-boys and even the Bourne-agains will find it slow). But this is one of those movies where the heavies never think to drive anything but a black SUV with tinted windows (they might as well have a siren on top), where concerned citizens keep hold of incriminating evidence until it blows up in their faces, and Gibson stays safe without moving out of his house. It's too old school for cool. The not-very-bright bad guys, Danny Huston, Denis O'Hare and Damian Young channel the arrogance and entitlement we've come to know so well in the power elite, while Ray Winstone shares the best scenes with Gibson as a "cleaner" type character who is also something of a professional obfuscator -- he knows from experience that several truths are better than one. Profusion breeds confusion. You couldn't accuse Gibson of stretching himself here, unless reining himself in counts. It's as convincing a performance as it can be in the circumstances, plausibly pained and dangerous but always at the service of the next plot contrivance. There's a powerful scene when Craven cuts to the chase and threatens to redecorate Huston's limo with his brains. For a moment Mad Mel looks like he might go over the edge and plunge right into that darkness once and for all, but it's not to be -- there's another hour to kill. Gibson's second coming is not his finest hour, but it does the job.